Dr. Cortney had been working as a pharmaceutical sales representative, and was suffering with chronic migraine headaches that hadn’t resolved since childhood. They’d been getting worse, in fact, as she got older. Doctors had treated her headaches with prescription drugs, which would bring some improvement. However, they also introduced side effects. Soon, Dr. Cortney was caught in a vicious cycle of adding new prescription drugs continually to treat the side effects of each of the other medications. Still, she didn’t have complete resolution of her headaches. At some point, a friend who was a chiropractor asked, “When are you going to look at this in a different way, a more natural way, a way that coincides with your body?” Dr. Cortney began to seek chiropractic treatment from that friend, and within two weeks her headaches were gone and she was able to come off all of her medications. Over the following months, she continued to seek treatment, learning how much chiropractic improved her life and made her feel great! It was then that Dr. Cortney knew for certain she wanted to change career paths and become a chiropractor. She attended National University of Health Sciences in Lombard, IL. Dr. Cortney loves that chiropractic is natural, non-invasive and gentle and produces long-lasting results. As a chiropractic patient, she always appreciated that chiropractors tended to give more time to her, and that they truly listened to her concerns. Now as a chiropractor, Dr. Cortney most enjoys spending that extra time with each patient, getting to see them more frequently, and becoming a part of each other’s families. She’s most excited that she gets to work with pregnant women on a daily basis. Although pregnancy is not typically seen as a chiropractic concern, Dr. Cortney loves that she can treat pregnant patients, infants and children in much the same ways as she treats adults. She’s passionate about helping this demographic, because children can’t explain to you why they are cranky, spitting up, or having sleep issues. Chiropractic is a natural way to assist children coming into the world in the most-healthy manner, and help them remain healthy. Dr. Cortney grew up as the second eldest of 10 kids, in a family who now live all over the United States. She lives here with her two dogs, Asha and Bruce. Bruce joined the family from Trio Animal Foundation in Downtown Chicago. He has the biggest heart of any dog you’ll ever meet and the personality to go with it! He fits in perfectly at the office! Asha is a Pharaoh Hound mix. She joined the family from a shelter way down in Miami Florida! Asha is an “old soul” and has a calmness about her that will take away any of your woes! Bruce and Asha get regular chiropractic adjustments, take supplements and keep Dr. Cortney in great running shape. 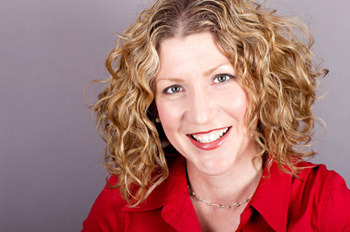 Aside from enjoying an active life with her dogs, Dr. Cortney is an avid yogi, runner and cyclist. She has also completed a few triathlons. 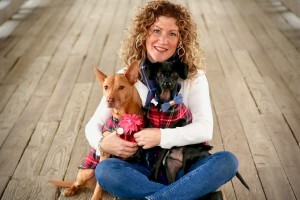 She is involved in her community and chamber events and is a strong supporter of the Humane Society of Naperville. Contact us or stop in today to find out how chiropractic care can help you lead an active and healthy life too.